ASEF is organising the 7th ASEF Public Forum on the Creative Industries in Asia and Europe: Enabling Crossovers on 18 October 2014 in Amsterdam, the Netherlands. The event is in partnership with the Ministry of Education, Culture and Science, the Netherlands and Het Nieuwe Instituut from the Netherlands and with the support of the European Cultural Foundation. 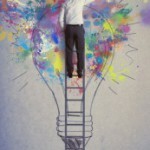 This forum will provide an opportunity for practitioners in the areas of culture, education, science, business, social enterprise and policy to exchange ideas and insights on the role and value of the creative industries in promoting the overall creativity of societies, particularly by enabling crossovers. 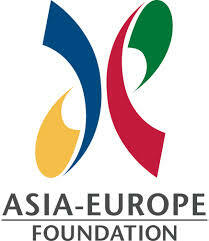 It will be an official side event to the 6th Asia-Europe Culture Ministers’ Meeting. It also marks the opening of the ASEM Culture Network Programme from 18-21 October 2014 across the Netherlands, which will gather 40 creative professionals from Asia and Europe for four days of workshops and site visits. Among the speakers will be leading voices from Asia and Europe including: Charles LANDRY, an international authority on the use of imagination and creativity in urban change and inventor of the concept of the Creative City; Anmol VELLANI, Founder and Former Executive Director, India Foundation for the Arts and theatre director; and, Ada WONG, Founder and Chief Executive of the Hong Kong Institute of Contemporary Culture and the Supervisor of the Lee Shau Kee School of Creativity, Hong Kong.